Garry Shandling died from a blood clot in his heart, coroner's officials said Tuesday more than seven months after the comedian's unexpected death. A report by Los Angeles' coroner's officials released Tuesday states the fatal clot occurred after the comedian developed blood clots in his legs. The comedian had not been feeling well during a trip to Hawaii, the report stated. Shandling died March 24 after calling paramedics to his home. Los Angeles coroner's officials had delayed issuing their determination of what killed the 66-year-old until after a review of his medical records and toxicology tests were completed. The toxicology results found only a therapeutic amount of Xanax and some cold medication in his system. In 1992, Shandling created his comic masterpiece with "The Larry Sanders Show," which starred him as an egomaniacal late-night TV host with an angst-ridden show-biz life behind the scenes. The HBO series ran until 1998. As Larry, Shandling dug deep to confront his own demons, and did it brilliantly as the series teetered between dual realities: public and private; make-believe and painfully true. Shandling had blurred the lines for a television comedy before, with his "It's Garry Shandling Show," in the 1980s. Actors on the Showtime sitcom routinely broke the fourth wall to speak directly to the audience on what they were up to. After "Larry Sanders" ended, Shandling's few public appearances included hosting the Emmys Awards in 2000 and 2004 and a role in 2001's "Zoolander." Shortly before his death, he appeared in Jerry Seinfeld's web series "Comedians in Cars Getting Coffee" in a segment that had the pair recount memories of their stand-up comedy days and trying to make it in Hollywood. Garry Shandling's cause of death has been attributed to a blood clot in his heart. A report by officials with the Los Angeles coroner's office, released Tuesday, states the fatal clot that killed Shandling in March occurred after the comedian developed blood clots in his legs. Coroner's officials had delayed issuing their determination of what killed the 66-year-old until after a review of his medical records and toxicology tests were completed. Shandling created his comic masterpiece The Larry Sanders Show for HBO, which starred him as an egomaniacal late-night TV host with an angst-ridden show-biz life behind the scenes. After Shandling's death, his publicist said that doctors believed he had suffered a sudden heart attack in his Los Angeles home. After Larry Sanders ended in 1998, Shandling's few public appearances included hosting the Emmys Awards in 2000 and 2004. Teroes.com has uncovered the autopsy report for comedian Garry Shandling, who tragically died while on the phone with a 911 operator last March. While examiners ruled Shandling’s death at age 66 was the result of pulmonary thrombosis caused by deep vein thrombosis, the medical professionals screened his blood, which came up positive for a host of controlled substances. According to the report, Shandling’s sample was presumptively positive for opiates (codeine and morphine as well as hydrocodone and hydromorphone) along with benzodiazepines and Xanax. Shandling, who examiners noted suffered from an enlarged heart, reportedly was taking the opiate painkillers found in his system following a dental procedure he had undergone shortly before his death. The star did not test positive for other illegal drugs, including cocaine and fentanyl. Shandling “had previously complained of leg pain and shortness of breath on March 23, 2016, and was told by a friend to go to the doctor,” revealed the report, noting he said he would go the following day. He was pronounced dead at 11:37 a.m. at St. Johns Medical Center in Los Angeles. 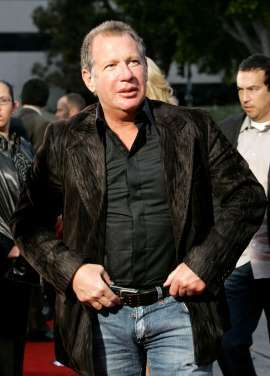 The report also laid bare Shandling’s list of ailments he had suffered over the course of his medical history. According to the autopsy report, Shandling suffered “hyperparathyroidism, chronic pancreatitis post-surgery, deep vein thrombosis with IVC filter, recent dental work” and he was “not feeling well while in Hawaii” before his death. 0 Response to "Garry Shandling died from blood clot in heart, coroner says"